The Barracuda Web Application Firewall blocks application layer DDoS and other attack vectors directed at web-facing applications hosted in Amazon Web Services, while providing superior protection against data loss. It also has strong authentication and access control capabilities for restricting access to sensitive applications and data, along with the ability to autoscale inside your VPC. The Barracuda Web Application Firewall blocks application layer DDoS and other attack vectors, directed at online applications hosted in Amazon Web Services, while providing superior protection against data loss. It also has strong authentication and access control capabilities for restricting access to sensitive applications and data. 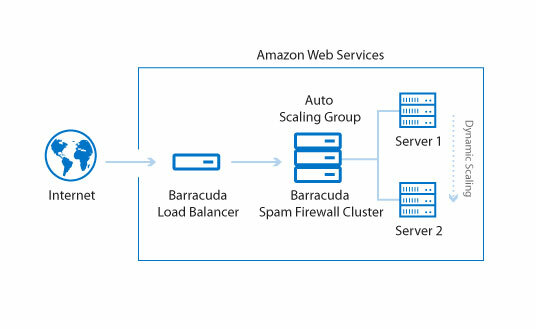 The Barracuda Web Application Firewall virtual appliance for AWS is a scalable security solution that protects applications from targeted and automated attacks. 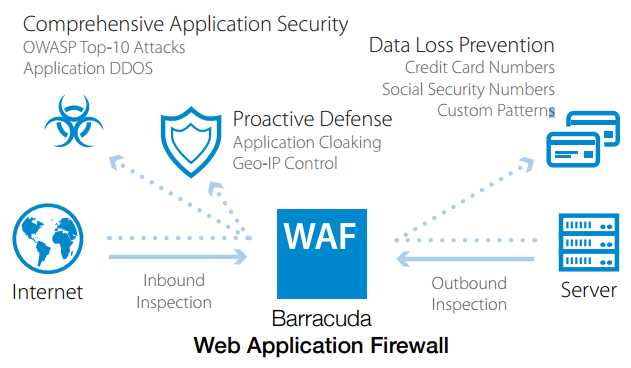 Barracuda Web Application Firewall is ideal for organizations looking to protect web applications from data breaches, defacement, application layer DDoS and other attack vectors, directed at online applications hosted in AWS. Automatic updates provide defense against new threats as they appear. As new types of threats emerge, it will acquire new capabilities to block them. Barracuda Web Application Firewall has strong authentication and access control capabilities that ensure security and privacy by restricting access to sensitive applications or data to authorized users. Plus, it is affordable and easy to use. Companies of all sizes can enjoy total application security with no need to learn, configure, and manage complex technology. Pre-built security templates and intuitive web-user interface provide immediate security without the need for time-consuming tuning. 1 Premium Support ensures that an organization's network is running at its peak performance by providing the highest level of 24x7 technical support for mission-critical environments.